Due to space considerations, some illustrations did not make the final article, including this great postcard (above) which shows the ongoing rivalry between Frick and his sometime partner, Andrew Carnegie. 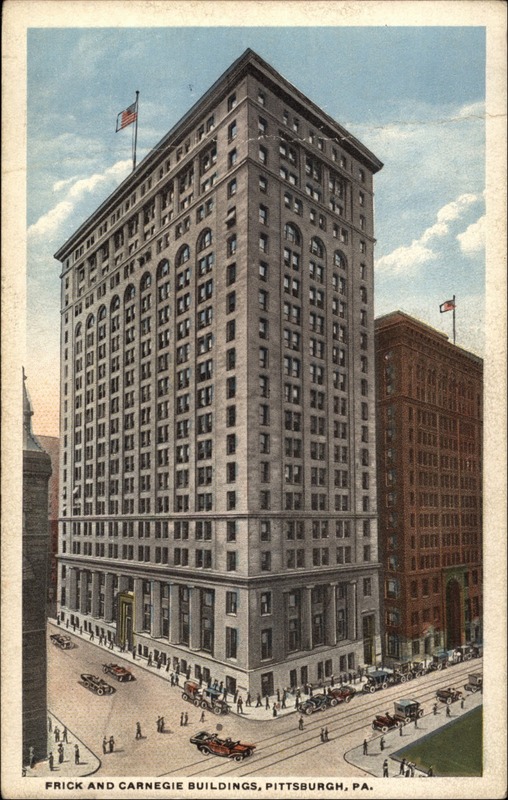 Around the time Frick was moving to New York, he had his company's headquarters built in downtown Pittsburgh next to--and taller than--Carnegie's, so that Frick's building would also bathe Carnegie's in shadow. There are a few other illustrations that didn't make the cut--including an 1884 Life magazine cartoon about the Lenox Library--that can be found on our Facebook page: https://www.facebook.com/media/set/?set=a.296697000509609.1073741833.209874915858485&type=1. If you haven't had a chance, why not follow us on Facebook? Not only do we post these blog entries there, but also links to all sorts of other New York City history. Fans of the Postcard Thursday feature will realize that this is the second time we've featured Grant's Tomb. 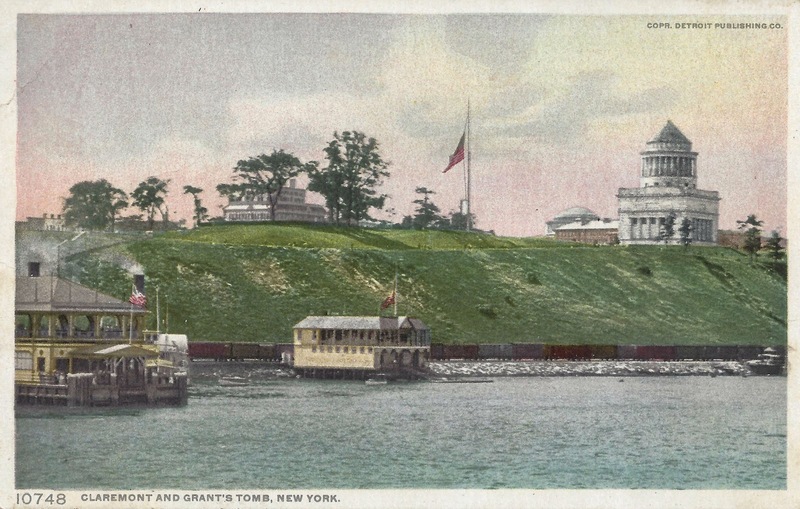 But as pointed out in our first article, Grant's Tomb was one of the most popular tourist attractions in late 19th-century New York, so it's not surprising that it featured in a number of different postcard views. We're highlighting the memorial again because yesterday was the 129th anniversary of President Grant's death on July 23, 1885. The tomb you see in this postcard is not, actually, the original. 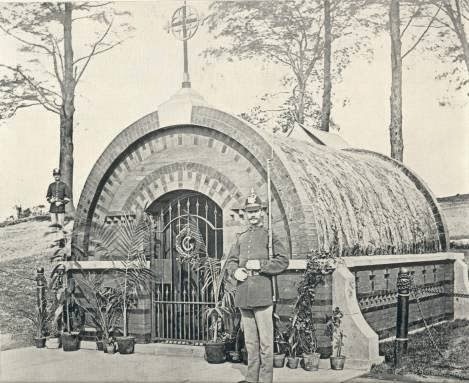 After some wrangling about whether New York was going to be the the general's final resting place, he was buried in a small, temporary enclosure, which was constructed ten days after his death. After a design contest was held, John Duncan's grand edifice (modeled on the Mausoleum of Halicarnassus) was selected as the permanent tomb and the temporary one demolished. The other building you see in this postcard atop the bluff is the Claremont Inn, a country home that dated back to 1788. It had been acquired by the city after the Civil War and was run as a restaurant until its demolition in 1950. Also, notice the ferry landings on the Hudson River below the tomb; in its earliest years, reaching the memorial via the river from downtown was the easiest way to go. On July 17, 1938, Douglas Corrigan took off from Floyd Bennett Field in Brooklyn. He'd filed a flight plan intending to fly west to Long Beach, California (from which he'd arrived a week earlier). 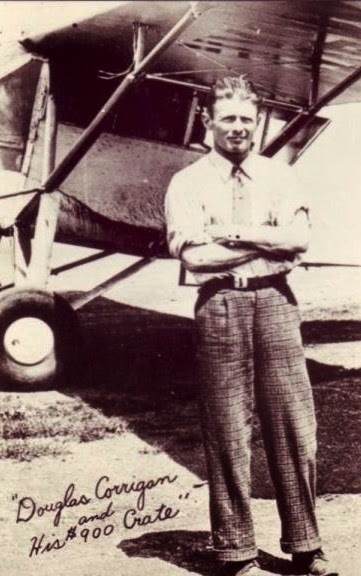 Instead, Corrigan flew east and, supposedly due to a faulty compass and thick fog, found himself 26 hours into the flight approaching Ireland instead of Long Beach. The stunt earned him the nickname "Wrong Way" Corrigan and a place in history. To this day, it is unknown if Corrigan made the transatlantic flight by mistake or if he had been planning to pull the stunt for some time. In 1935, he'd been denied an application to fly to Ireland because his Curtiss Robin OX-5 plane was deemed unsound. A skilled mechanic, he had made numerous modifications to the aircraft (the $900 he spent in upgrades is what is referenced in today's postcard), but still his application to file a transatlantic flight plan was turned down. Eventually, Corrigan made so many custom changes to the Robin that it was deemed unsafe for flight. Finally, on July 9, 1938, Corrigan flew from Long Beach to Brooklyn, his flight hampered only by a small fuel leak. Upon arriving at Floyd Bennett Field, Corrigan decided against repairing the leak, but instead filed a flight plan to return to California. He took off the morning of July 17 and flew 28 hours, 13 minutes, to the Baldonnel Aerodrome in Ireland, becoming an instant celebrity. Upon his return to New York (via steamship) he was feted with a ticker-tape parade. His autobiography was an instant best-seller and he was soon shilling for all sorts of "Wrong Way" products. His story became the film The Flying Irishman in 1939. Despite mounting evidence that Corrigan had purposefully flown to Ireland, he maintained until the end of his life that it was a simple navigational error. 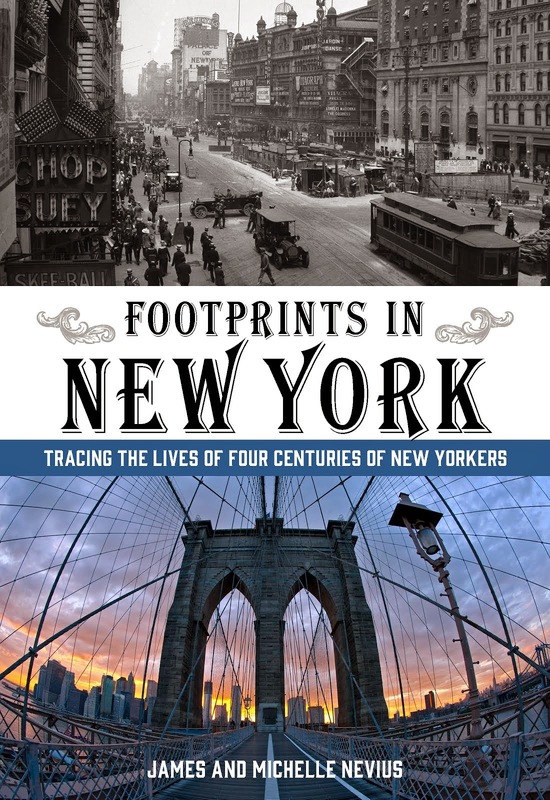 Tomorrow, Saturday, July 12, we’ll be on WFUV radio’s Cityscape with George Bodarky talking about Footprints in New York. We are the guests for the full half-hour program, and our topics range from the Dutch colonial era to Alexander Hamilton (who died 210 years ago tomorrow) to the films of Martin Scorsese and Woody Allen. You can hear a preview of the show at https://www.youtube.com/watch?list=UUlkaUu3xZhS-1nGEPxGCk3Q&v=H13_DVi-1dk. 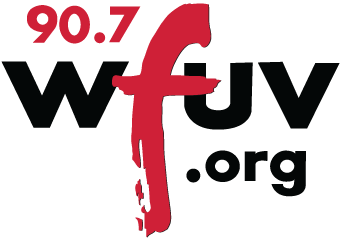 If you are in NYC and environs, you can tune in tomorrow at 7:30 a.m. at 90.7 on your FM radio dial or stream it at http://play.wfuv.org/player/index.php. However, the show is actually already up as a podcast on the Cityscape website, so you don’t even have to wait -- you can tune in right now at http://www.wfuv.org/news/cityscape/140709/cityscape-footprints-new-york. 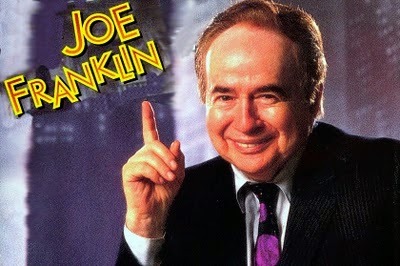 A few weeks ago, we taped an interview with TV and radio legend Joe Franklin that is airing today (Saturday, July 5, 2014) on Bloomberg Radio. 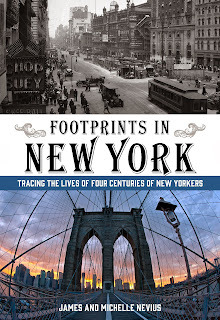 We'll be talking about some of the people we profile in Footprints in New York. 1am Sunday EDT (Midnight CDT, 11pm MDT, 10pm PDT, 7pm HST). Our segment is very close to the beginning of the show. If you are in New York, you can tune in to Bloomberg Radio at 1130AM on your dial. In Boston, it is broadcast on 1200AM or 94.5FM. The rest of the country can either tune in on SiriusXM Channel 119 or stream it online from Bloomberg's website. If you use the iHeartRadio or TuneIn apps for your phone, both of those also receive Bloomberg live streams. If you don't already follow us on Facebook, Twitter, or Instagram, what better time than the present? 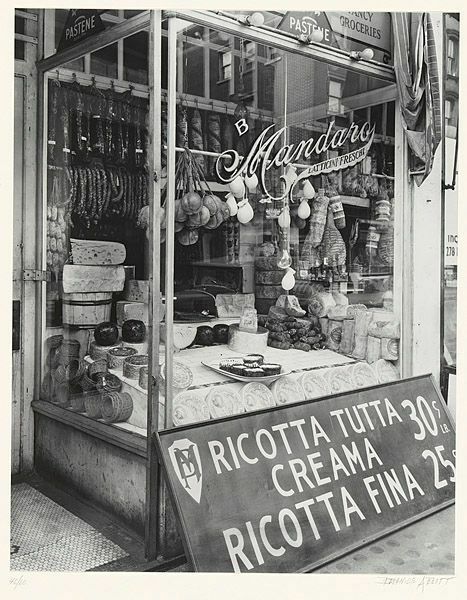 We update each of those feeds with tidbits of NYC history throughout the week, including links to interesting historic photos and articles about the city's past. Yesterday, we mentioned that we've long advocated an "Independence Week," referencing a couple of older blog posts. Since some readers have expressed more interest in the topic, we've combined some of those older posts into one article. Though, we have always celebrated July 4th as Independence Day, the actual date of the vote to declare our break from Great Britain was July 2. Well, he was only off by two days. 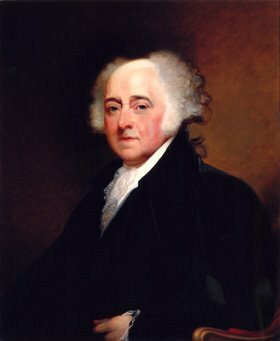 In fact, only twelve of the thirteen original colonies had voted to declare independence on July 2 -- the delegates from the thirteenth colony, New York (which included such notable citizens as Lewis Morris and Francis Lewis) did not feel they had been invested with such power and retreated from Philadelphia to discuss their options. Meanwhile, on July 4, the Continental Congress agreed to print the Declaration. Scholars guess that somewhere between 100 and 200 of these Dunlap Broadsides, as they've come to be known, were printed that evening (25 of which exist today), probably under the watchful eye of Thomas Jefferson, the Declaration's lead author. On July 5 and 6, John Hancock had riders dispatch Dunlap broadsides to colonial cities and on July 9 a copy arrived in New York City, where George Washington's troops were stationed. The fence that surrounds the Bowling Green today is the original one erected ca. 1771. It is a New York City Landmark and one of the city’s most significant pieces of pre-Revolutionary architecture. If you walk around the outside of the park, you can easily see that the larger fence posts are uneven and that each is rough-hewn in a slightly different way. It is clear that there were once decorative objects at the top of the fence posts, but it remains a mystery what these finials actually looked like, or when they were removed. Unlike the king’s statue, the fence is not mentioned in any news reports, diaries or letters of the time. Over the years, it has been posited the finials must have been something round (to be used as cannon balls) or something royal and therefore offensive to Americans. According to the New York Times, during the excavations for the foundations of the elevated railroad in 1878, “one of the round knobs struck from the railing” was unearthed. Later that year it was presented to David van Arsdale, the grandson of a Revolutionary soldier who had a direct role in the end of the war in New York. But that is the only time they are mentioned. Perhaps one will turn up someday and we’ll see exactly what they looked like. Until then, it’s worth a visit to Bowling Green during this Independence Week to see—and feel—this reminder of the American Revolution. If you're in the neighborhood, signer Francis Lewis is buried at Trinity Church (as is New York's greatest hero of the Revolution, Alexander Hamilton). 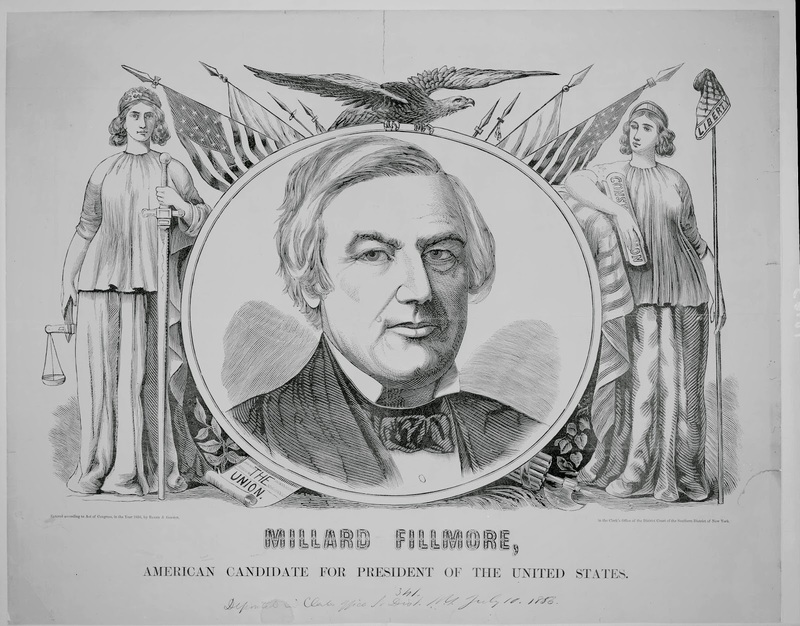 If you are an avid reader of this blog, then you know that yesterday, July 2, holds as much claim -- if not more -- to be America's birthday as tomorrow, July 4. 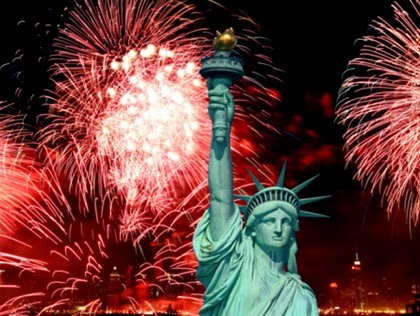 And, in fact, since New York City didn't vote to ratify the Declaration of Independence until July 9, maybe the holiday should actually be a week long. So, welcome to Independence Week. Soon, I discover that the Dutch woman and I won’t have the place to ourselves. A costumed interpreter—I’ll call his garb late-Colonial/early-Revolution—is leading a group of two-dozen fourth graders down the house’s main staircase. Tremendous care has gone into furnishing this home, from the seventeenth-century Dutch room on the second floor to the “best” bed- chamber used by George Washington on his visits to the house. That room features a beautiful mahogany dressing table and an English chest of drawers from 1725, both of which descend from family members. They’ve draped a blue coat and a tri-cornered hat on one chair, as if General Washington has just stepped out for a moment. 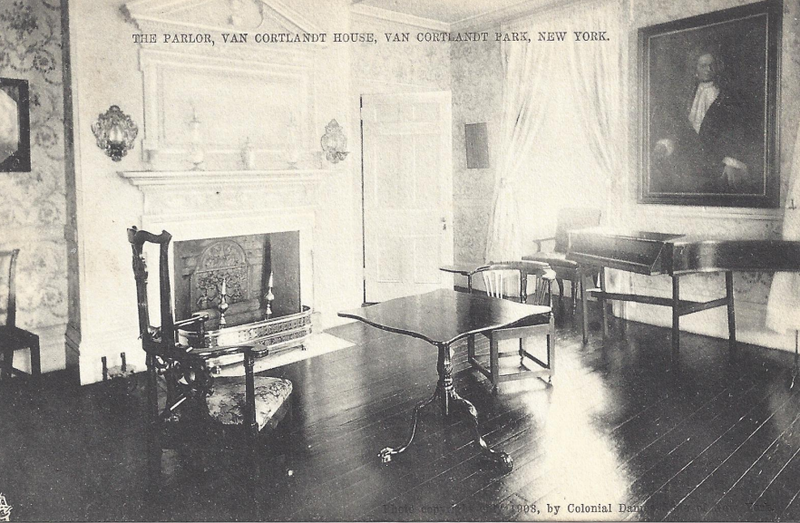 The Van Cortlandt house is open for visitors every day but Mondays. More details can be found at http://www.nscdny.org/headquarters-dumbarton/van-cortland/. you can order it from independent bookstores across the country.